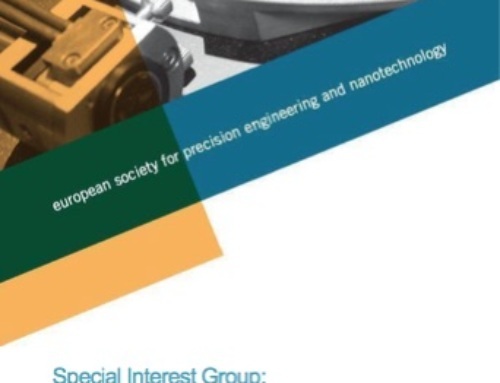 euspen (the European Society for Precision Engineering and Nanotechnology), will be hosting a Special Interest Group (SIG) meeting on micro and nano manufacturing 27-28 November 2019 in Berlin, Germany. The area of micro and nano manufacturing is increasingly dynamic, with advances in fabricating technologies and giant strides in the sophistication of metrology and supporting technologies vital when manufacturing parts or features at such small scale emerging weekly. For the past 2 decades, industrial applications and R&D activities have been focussed on the subject of micro and nano-scale manufacturing. Across industry in general, the drive in terms of product and component design is towards miniaturisation or manipulation of surfaces with micro and nano features. There is, however, a trade-off between miniaturisation and the actual function of a product. Smaller and smaller is not always better and better, and there are limits to the extent to which products can be reduced in size and still function optimally. The danger is that in some instances the oft-quoted design mantra that “form should follow function” can become lost as product designers continually strive for miniaturisation. But in general terms, designers are forever pushing the boundaries of increased precision and reduced size in balance with part functionality. 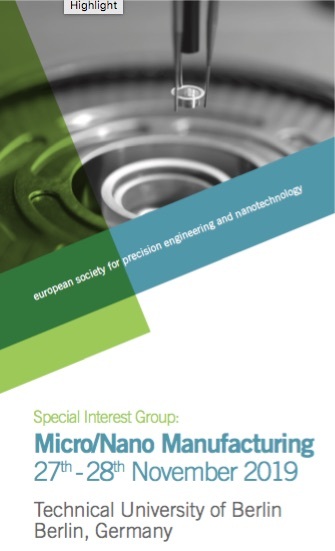 The euspen micro and nano manufacturing takes a pragmatic view of this important area of R&D and commercial uptake. Manufacturing processes at the micro-scale are the key-enabling technologies to bridge the gap between the nano- and the macro-worlds to increase the accuracy of micro/nano-precision production technologies, and to integrate different dimensional scales in mass-manufacturing processes. So saying, the SIG meeting on Micro/Nano Manufacturing will focus on novel methodological developments in micro- and nano-scale manufacturing, i.e., on novel process chains including process optimization, quality assurance approaches and metrology. The meeting will host a keynote and several presentations and posters covering the newest developments and research on this increasingly important topic, and will host several training seminars covering aspects of micro/nano manufacturing in practice such as micro and nano manufacturing technologies and applications; micro replication techniques; machining technologies for moulds and microparts; assembly and handling; and metrology and quality control for microparts.